Are You Jeopardizing Your Success? Travel writing mistakes can easily be avoided if you understand why they’re mistakes, and if you know what to do to avoid them. As with any new endeavor, novice travel writers tend to make certain mistakes. Experience too many of these at the beginning of your travel writing journey, and you'll probably quit before you give yourself a chance to meet with any success. Learning the art and craft of freelance travel writing requires generous amounts of patience and time. But it's possible to learn what to do and what to avoid doing. At the apex of the travel writing food chain are all the top shelf magazines we drool over: Islands Magazine, Coastal Living, Travel & Leisure, Conde Nast Traveler, National Geographic Traveler, Lonely Planet Traveller, and a few others. We all want to be published in these magazines. It’s one thing to aspire to getting published in these magazines, but it’s another to think that’s where you start. Setting your sights on these magazines when you’re first starting out will set you up for disappointment. Certainly there are a few people who fluke their first article in a top shelf magazine. But most new writers need to establish credible bylines at lower tiers before top shelf editors will take you seriously. Although a new writer might be equally as talented as an experienced writer, editors prefer working with experienced writers. Experienced writers dream up good story ideas, deliver quality articles and meet deadlines. They have a track record. Editors like this. Before pinning your hopes on a top shelf glossy magazine, collect some bylines further down the magazine food chain. 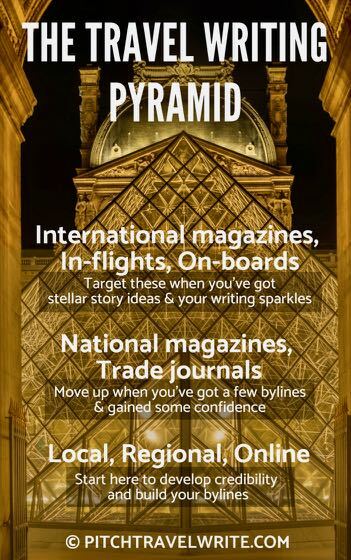 Writing for local, regional travel and lifestyle magazines will build your confidence and give you valuable experience when you’re just starting out. Don't make this travel writing mistake. Conquer the local and regional publications by collecting those bylines first. Get some practice and develop your credibility as a writer. Then start pitching the magazines closer to the top. Some writer’s guidelines tell you to submit a completed article to the editor instead of a query letter. Never do this! Writing and submitting a story without querying first is risky business. And it’s likely to end in disappointment. The purpose of a query letter is to ask an editor if he’s interested in your story idea. If he’s interested, you write the story. If not, you move on. Writing the story first is backwards. When you write the story first you put time and energy into the article. You spend a day or two writing the article, maybe more. Then, if the editor rejects your story, you’ve wasted your time. No one likes rejection, and this kind of rejection has a much bigger emotional impact because you’ve already invested so much energy into it. Don't waste your time or energy. Always query first. One of the most common travel writing mistakes is failing to have a unique story angle when you pitch an editor. To improve your chances of selling your story, it’s best to focus your travel story on a single, unique aspect of a destination. Editors are more interested in pitches about unusual or new attractions. General round-up stories attempt to encompass everything you’ve seen. They’re a hard sell and are not in great demand. For example, London is a great place to visit, but no one is interested in reading a roundup piece about the things on the usual tourist route like Big Ben or Buckingham Palace. If people want roundup information about a destination’s general tourist attractions, they’ll consult a guidebook or the Internet. 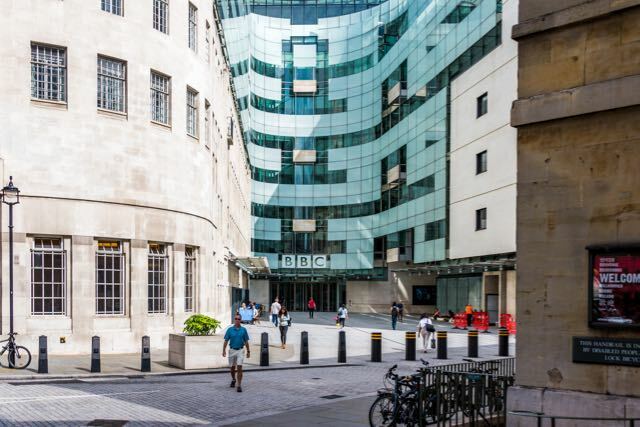 Front entrance of new BBC Headquarters in London, England. You are far more likely to sell a story with a unique story angle. For example, a couple years ago I heard that the BBC opened their new world headquarters building in London. I was going to be in London, so I queried a communications magazine to find out if they were interested in an article about it. They were, so I took the tour of the BBC headquarters and wrote the story. 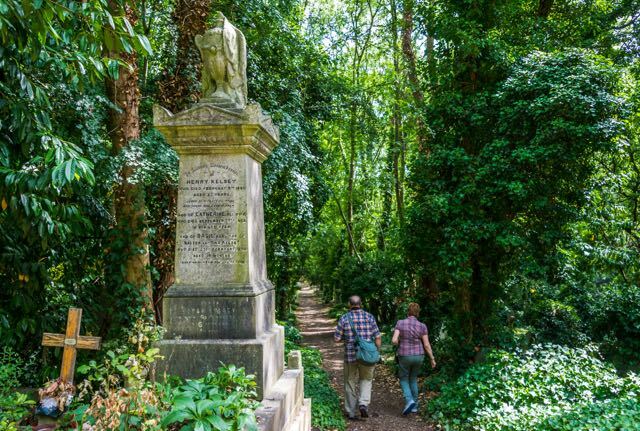 I had also been browsing through a guidebook and saw a reference about London’s Victorian Highgate cemetery. I like old cemeteries and the stories of people buried there. I queried an online travel magazine that specializes in Europe to find out if they were interested. They were. I visited the cemetery while in London, and was toured around by a docent who explained the history and showed me all the most important spots. No matter where you travel, look for original and exclusive ideas. Focus on those as potential stories. Be sure your query is clear about your focus. 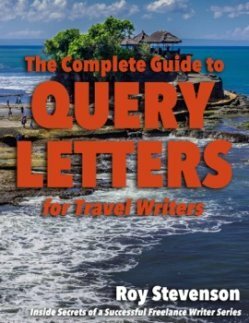 Spell out the uniqueness of the story in your query. What if your topic is new and original but suitable for only a narrow group of people? Look for specialty magazines that cater to that niche. In my example about the BBC Headquarters, this story fit a specialty niche - people interested in communications. I queried communications magazines knowing that’s the right audience. This strategy paid off and I sold the article. Your query letter is a very important element of your marketing process. But the best query letter in the world won’t help you unless you have a comprehensive list of magazines to pitch your story ideas to. Using comprehensive magazine distribution lists allows you to unlock the full sales potential of your query letter and sell more stories. Without a comprehensive list you're limiting yourself and making a common novice travel writing mistake. Every serious writer needs magazine distribution lists. These are your sales leads. Your potential buyers are on this list – and the more potential buyers on your list, the better. What do you do with your lists, once you’ve got them? You send out your query letter to all the magazines on your list that might be interested in your story idea. Everyone gets worried that more than one editor will pick up your story idea. This sometimes happens, but it's rare. And there are strategies you can use when it does. Make the most of your valuable time and sell more articles. Pitch several magazines every time you have a great story idea. Telling the editor this is your first attempt at getting published, or that you’ve never been published before is a good way to prompt the editor to hit the delete key. It sounds cruel, but editors are busy and don’t have time to mentor a new writer through their start-up phase. But what if it’s true and you have no clips or bylines? You’ll also run into some kind and patient editors who will work with you to re-write the piece, if needed. When this happens, be open-minded about the feedback. You can really learn a lot from the experience. (See Mistake #6). When an editor asks you to rewrite an article, don't question it. There’s no need to get into a hissy fit about it. Put your ego aside. Just make the changes in a timely manner and move on. Rewriting your story isn’t much fun, but inevitably, the story will read better for it. Sometimes an editor shortens your story to fit their available space. Just roll with it. What do you do when an editor changes your story around so that you barely recognize it? When this happens, and it occasionally will, study the edited version carefully to understand how it changed. Compare it with your version and notice how it improved your travel writing. Most articles improve with good editing. All of these things are a natural part of the editing process. Editors know their readers and have a much better idea of what they want so you have to assume the editors know what’s best. Let them do their job. There are some freelance travel writers who complain when their work is changed. For novices this is bad business. Editors aren’t much different from the rest of us. They prefer to work with flexible writers and to work without conflict. Writers who accept editorial changes with grace and a ‘thank you’ are low maintenance writers. Editors tend to give them repeat business. Writer’s guidelines are available for many publications. They tell you what the editor is looking for, and often what they don’t want. Writer’s Guidelines go by a variety of names: Contributor’s Guidelines, Submissions Guidelines, Write for Us, Tips for Writers, to name a few common ones. Reading through a magazine’s writer’s guidelines gives you the advantage over travel writers who skip this important step. Always go to the magazine’s website and look up its Writer’s Guidelines to avoid this travel writing mistake.